Rockstor is an evolving Network Attached Storage and private cloud storage solution which is available free of cost and is based on well known BTR File System. It utilizes modern technologies like dockers, Samba, AFP etc to fulfill its design goals. 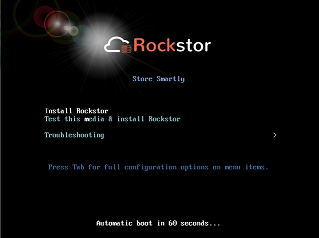 You can turn Rockstor into an awesome cloud storage solution, giving your users complete control, privacy and security. It uses REST APIs and is developed in Python and java script. Here are some of the very few important and noteworthy features of Rockstor. Applications on Rockstor environment are known as “Rock-on” , the new installation is equipped with pretty useful and up to date applications. Noteworthy of them are listed below. 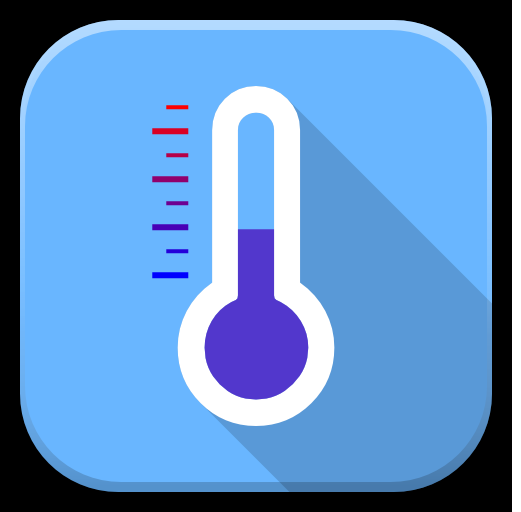 The most recent version, Rockstor 3.8.7 is available for download and use now. You can read the complete list of changes/additions on its official blog post. Let’s see how we can install it on Oracle Virtual Box, First of all make sure to create a virtual machine and load it with Rockstor 3.8.7 ISO. If you need help with Oracle Virtual Box setup and configuration, you can find it here. Once you boot your Virtual Machine using Rockstor 3.8.7 ISO, here is the very first screen you should see. 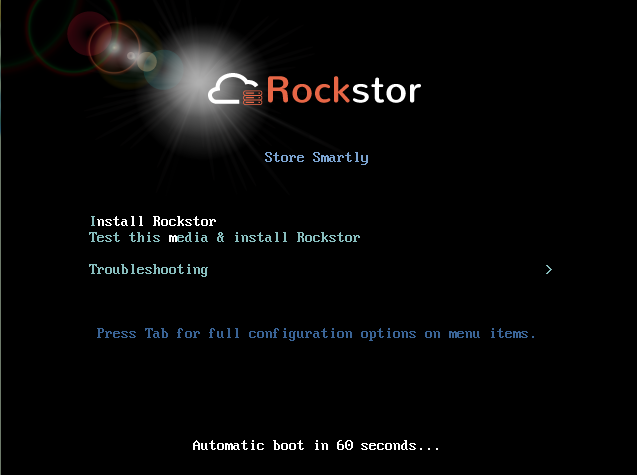 Click “Install Rockstor” from here. It uses well known Anaconda installer. 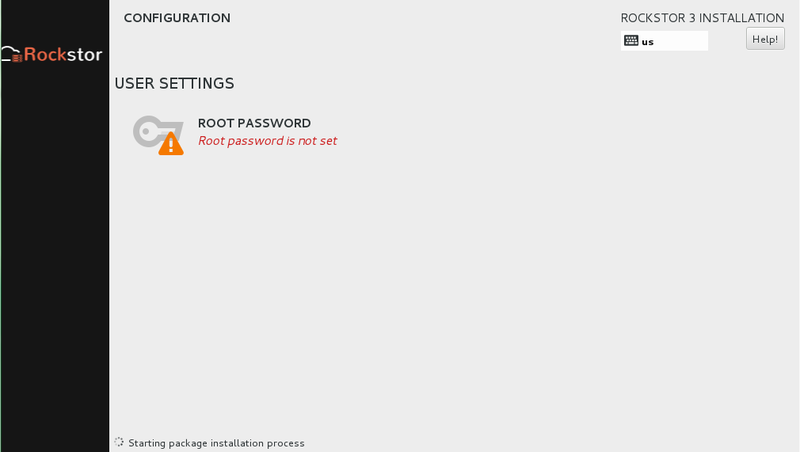 Installer is pretty neat and straightforward, it will take you to the following screen on the very first step. From here you can configure desired options by clicking the respective one. 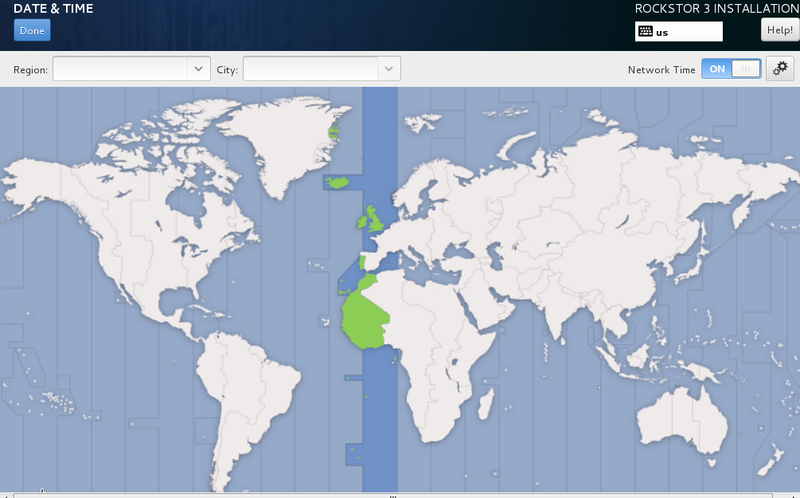 Click “Data & Time” to configure your system data and time. 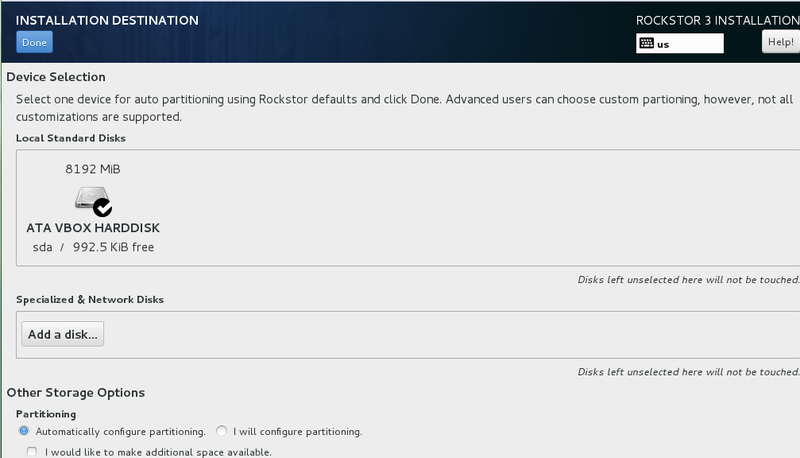 Similarly, click “Installation Destination” to choose the hard disk to install Rockstor, click “Done” once you have made your selection. Note that if you need to perform custom disk partitioning, you can do it from here. 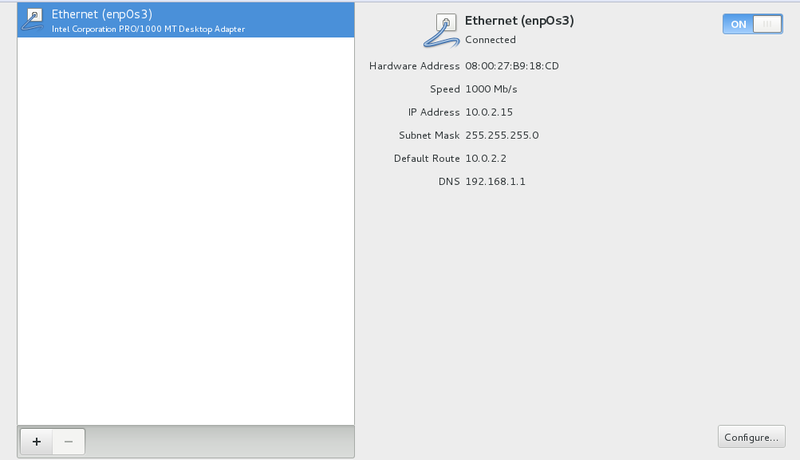 Configure your network and hostname by clicking the “Network & Hostname” option. Once done with all the settings, simply click “Begin Installation” option, the actual operating system installation process will initiate. 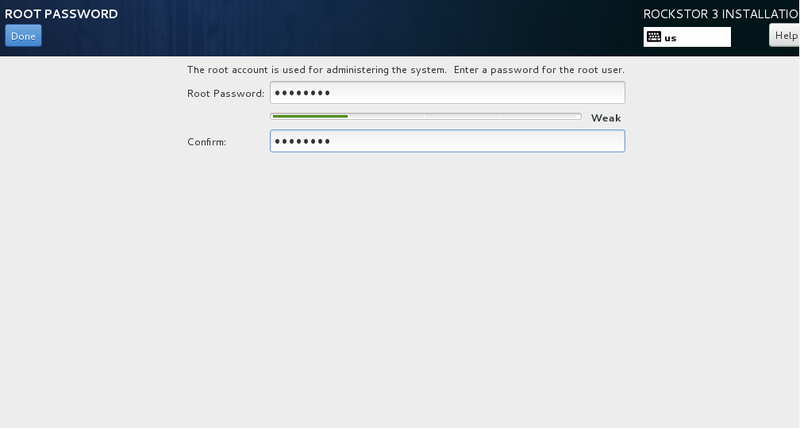 You can set the Root password for your system by clicking “Root Password” option. There you go, as soon as the installation is complete; it will prompt you to reboot your system. Login and start using this wonderful solution, it will provide you web interface address on the logon screen. It can be installed on commodity 64-bit hardware or hypervisors like Xen, VMWare and KVM etc. It is actively under development, new features and bug fixes are being done on regular basis. Please visit its following official page for more details and features of this system.